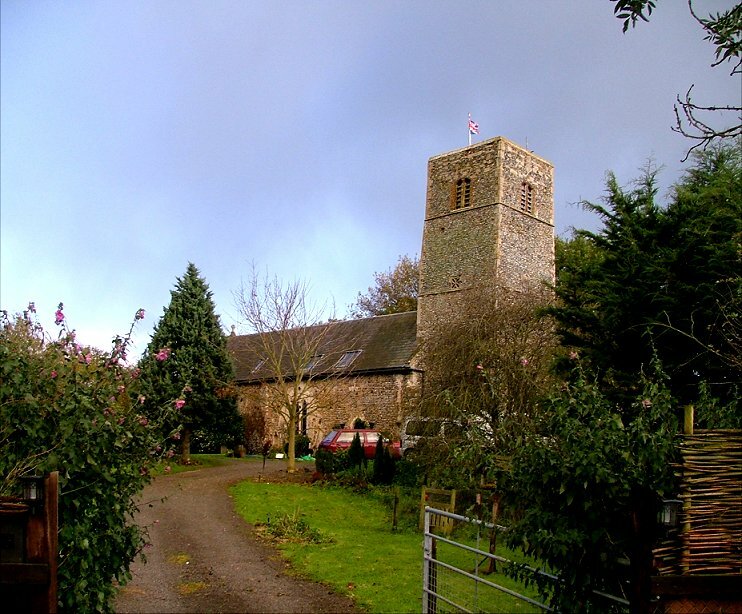 Wymondham Abbey is a big church, one of the biggest in Norfolk, and its parish is one of the biggest too. 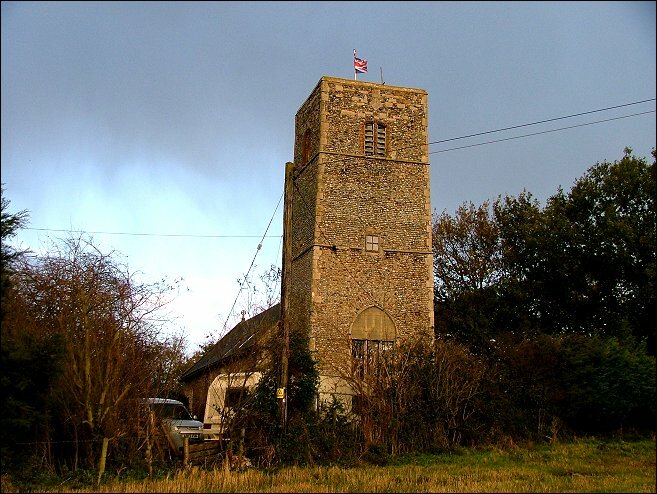 You don't have to travel far outside the town of Wymondham to find yourself lost in narrow lanes threading through undulating fields, a part of Norfolk where the population reached its peak in the 1850s, and it has been downhill ever since. The villages out here are rambling and tiny, and one of them is Crownthorpe. Crownthorpe is a village within the parish of Wicklewood, not far from Wymondham; there are places within the parish where you can see the twin towers of the Abbey on the skyline. But hardly anyone lives here, and so it was in the 1970s that St James, a chapel of ease to Wicklewood church, became redundant, partly because of the parlous condition it had fallen into. Now, in these days of group benefices, this probably wouldn't happen; but at the time it was the most sensible financial solution. After lying derelict for some years, St James was sold off, and it is now a private house. This is a considerable medieval building, mostly from the years before the Black Death. The odd, stark top to the tower is probably the work of the 18th century, and Pevsner records that 19th century restorations gave the building its east window tracery and roof. He also notes that there were once two transepts, and that the arch entrance to the southern one is still discernible. Crownthorpe was eventually sold off with the rest of the Windham possessions in the 1860s, after 'Mad' Frederick Windham bankrupted himself and his estates in the process of having to prove his sanity in a court of law. 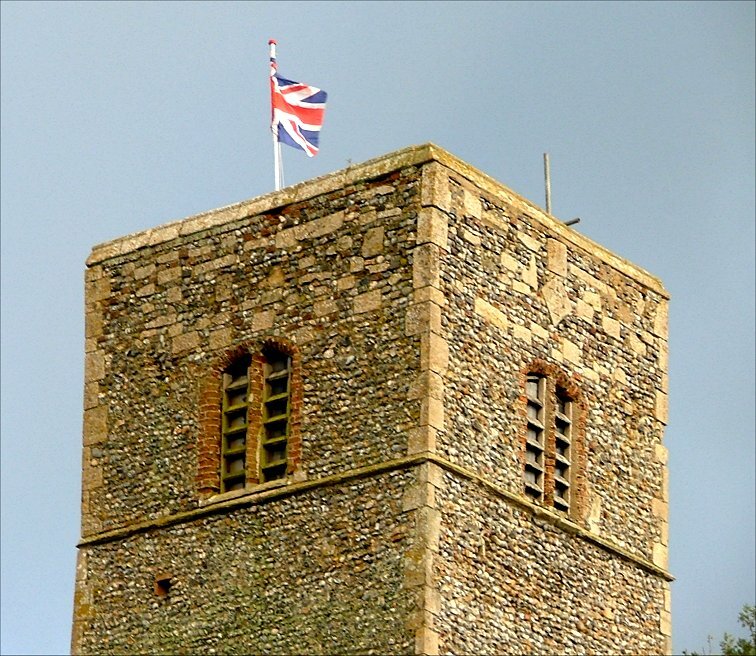 Today, St James remains a part of the landscape as it has done for centuries; the only signs that it is no longer a church are the private garden which surrounds it and the Union flag that flies from the top of its tower.